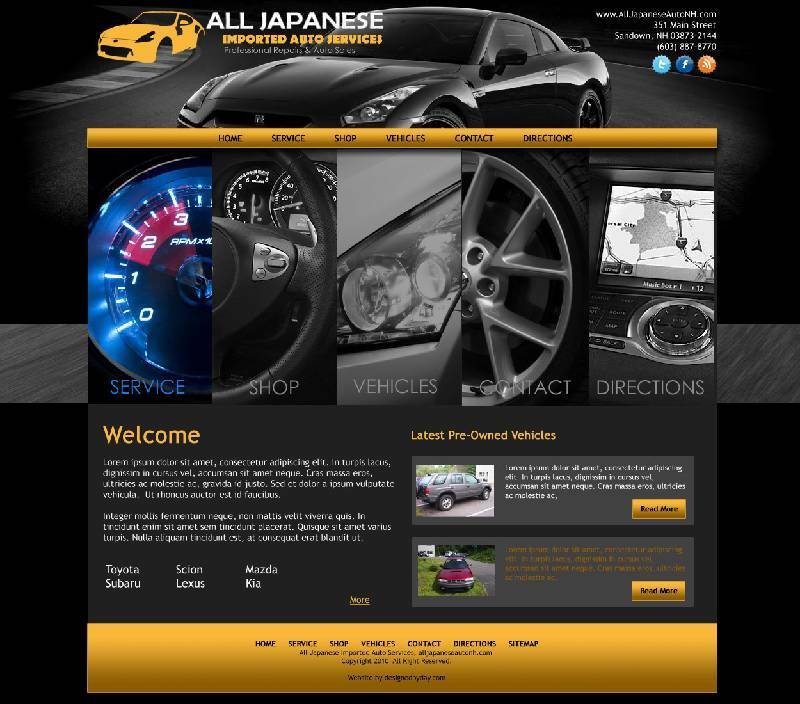 Designed By Day announces the latest addition to our web design and development family, All Japanese Auto Repair. This site out of the gate was a ton of fun. It was the first automotive website I've done and I was really excited to get working on it. All Japanese Auto Repair is located in Sandown NH, and I've never met a friendlier vehicle repair group. All Japanese Auto needed not just an online presence, but something that stood out from the competition, and showed the style, ability and level of knowledge their shop has next to the dealerships. In addition to repair and maintenance work, All Japanese Auto also has a good-sized inventory of pre-owned vehicles - Honda, Subaru, Lexus and more all inspected, maintained and ready for purchase. Look no further! The Tire Man, a sister company of All Japanese Auto Repair provides quality brands, knowledge and installation and repair. Dunlop, BG Goodrich, Firestone and Continental, just to name a few. Unlike their competition, they provide you with a no-hassle up-front quote on tires, installation, balance and rotation. Check them out at www.alljapaneseautonh.com!